We would be lying if we didn't compare "Lincoln" against one particular film from last year's Metro Manila Film Festival. Both films feature key figures, presidents in fact, and how they shaped their nation's history and future. With the local movie, the protagonist's life was presented in a convoluted manner, missing key areas and focusing too much on anything and everything from childhood to death. Add in a lead actor that seems to have ulterior motives in casting himself (and other mind-numbing casting decisisons) and what you get is a turd - material that's not worthy of its topic. "Lincoln" is far from different and not because it has bigger and better production values nor because it is a Hollywood film. The final four months of Abraham Lincoln’s life and presidency reveals the full measure of one of the most beloved American Presidents. It is January 1865 and President Abraham Lincoln (Daniel Day-Lewis) is pushing for the Thirteenth Amendment to the United Sates Constitution. An amendment, that Lincoln promises, will not only abolish slavery in America but will also stop the deadly civil that has wrought the nation for four years. But this is no easy task as he must garner enough votes in the House of Representatives. What happens next will not only test one of the greatest American Presidents but will also show the genius that he is. "Lincoln" shows how to make a biopic, an effective one that presents history in a more human-like manner against its god-like material. It's amusing in fact to see how one of the most beloved Presidents weave his way, through wits and some connivances, to get a historical amendment passed. The film feels like it's a behind-the-scenes look on what actually happened - dirt and all - and that is what makes it interesting. Further more, the film becomes more effective because of its cast. Daniel Day-Lewis made us believe that we are seeing, hearing Mr. Abe himself while the supporting cast did well too. AS for the plot, it becomes messy at times (maybe we just don't know American history that much) but the primary focus on the Civil War and 13th Amendment made sure that it wasn't too much too swallow. 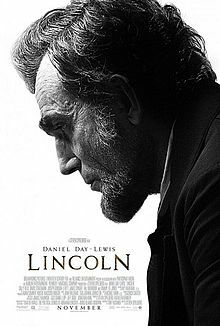 Overall, "Lincoln" is a massive film. It is worthy of ode to one of America's greatest and most beloved Presidents.